Smartphones are the only gadgets that have seen exponential growth in technology over the past decade. We saw an unprecedented evolution of a rare gadget to the most common gadget everyone use. The phone’s screens are becoming larger and larger every day along with a bump in screen resolution. Today, the 5.5-inch screens are a norm while manufacturers are even pushing the limit beyond 6-inches. With all the gorgeous screens, we want to use the entire space of the screen without any wastage. That way we can enjoy HD movies and games on the entire screen. Sometimes, we want to hide the status and navigation bars on the Android smartphones so that we can use the entire screen. Well, this isn’t a new feature as many developers have ported a feature called Immersive mode to hide the status and navigations bars when not used. I’ve used this feature for quite a long time and it’s awesome to get the few extra millimeters of the screen. Many might think it’s a small change but you would definitely see a huge difference. 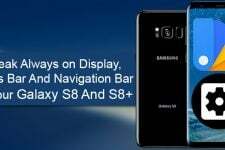 The status and navigations bars can be easily accessible with a swipe while in Immersive mode. However, Google and many other OEMs have never made this feature easily accessible on their devices. So, many people opted for rooting their devices to get this feature and also you might need to purchase some apps for this. Well, thanks to Rashad83 of XDA, you can now enable Immersive mode without root or any app. This involves a couple of ADB commands which is quite easy. 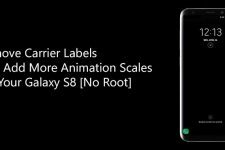 We have tried this on many devices including the latest Galaxy S8, OnePlus 3/3T, and Moto G4 Plus (Worked on both Nougat and Marshmallow ROMs). The process is quite simple, just follow the below procedure and you’ll have the entire screen for your app usage. Go to Settings » About phone » Build number and tap it 7 times to enable Developer options on your device. Then go back to Settings » Developer options and enable USB Debugging. To run the commands, you would need ABD binaries on your device. 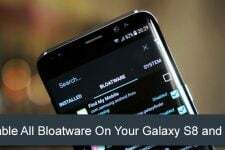 So, setup ADB and Fastboot on your PC. Connect your device to the PC. If you’re doing this for the first time after enabling USB debugging, you’ll see a popup window asking to allow USB debugging on this PC. Allow it. Navigate to the platform-tools directory, press Shift key+right mouse-click and select “Open command window here” option. If everything’s okay, you should see a serial number in the command prompt. 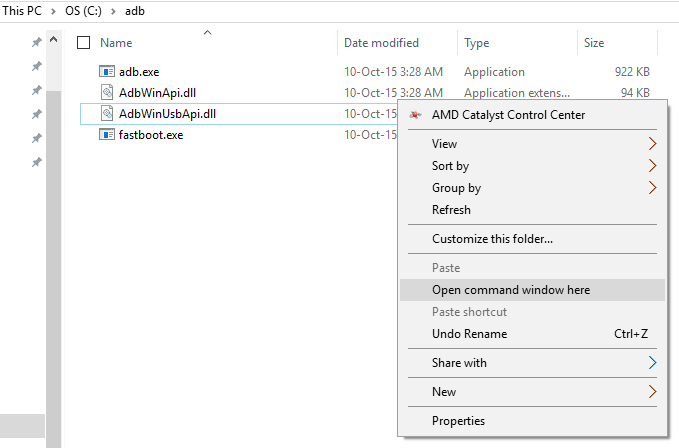 Else, please re-install ADB and USB drivers properly. 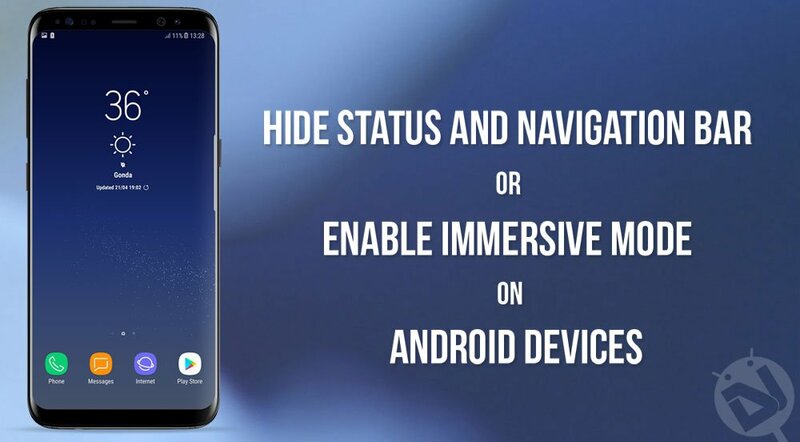 If all is OK, use the below commands to enable Immersive mode on your device. If you only want to hide the Status bar, type the below command. If you only want to hide the Navigation bar, type the below command. If you want to hide both Status and Navigation bars, type the below command. If you revert back to stock, use the below commands. That’s it. You have enabled the Immersive mode on your device. So, wasn’t it simple? Let us know if you enjoy the complete screen or do you prefer to have the status and navigations bar on your device. Thanks so much. This fixed my phone after 9.0 update on moto x4. I hate pie so much. Can I bring it up any time? Thank you for saving my sanity. Had this feature switched off by a recently installed app, but of course uninstalling the app didn’t put it right. Such a long time since I set up the phone (you know like 10 months or something) that I couldn’t remember ever actually not having immersive – so, as I said before, thank you.